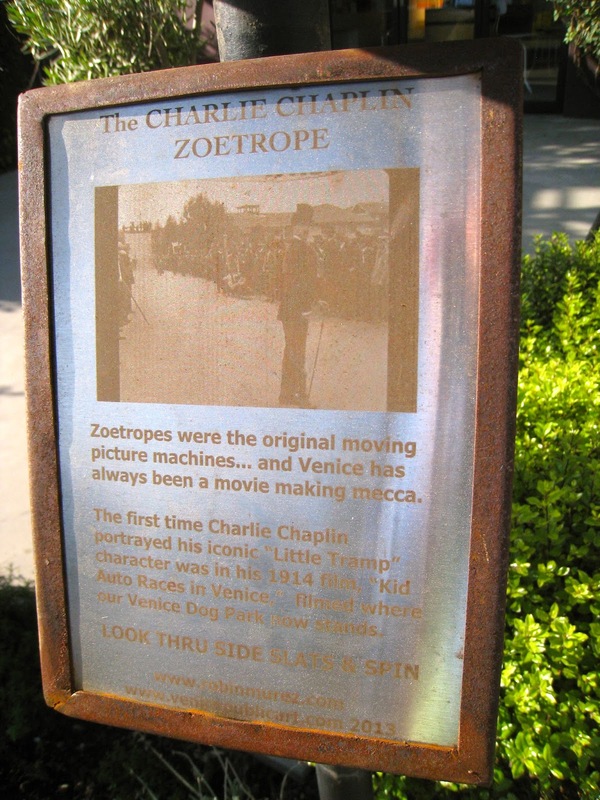 As I cut through my favorite short cut on my way to Abbot Kinney, I discovered another delight from Venice Public Art had popped up seemingly overnight ... a Charlie Chaplin Zoetrope! Venice has always been a filmmaker's dream, and Mr. Chaplin was all over it back in the day. I love finding these pieces around town, especially in a time of such gentrification (I'm so sick of that word - but it's important - and there is a meeting about it tonight at the Electric Lodge, 7-10 pm, if you're also sick of it and would like your voice heard). When you can't walk down any street in Venice anymore without being confronted by a big, ugly, no personality box house maxing out the property line, it's all the more important to honor the past and remember what this town was meant to be ... a haven for artists and eccentrics and FUN. 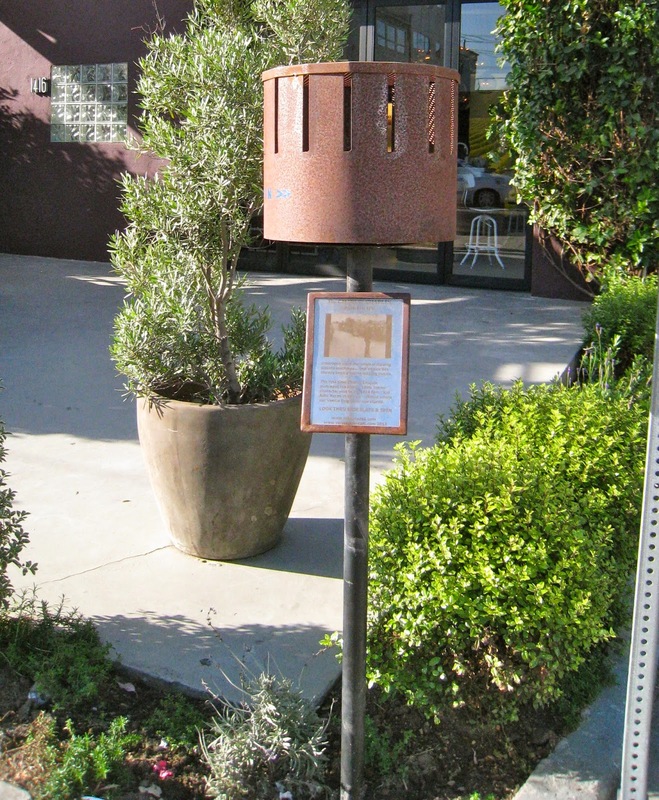 Now, walk down Abbot Kinney and give the ol' Zoetrope a spin! Fun.